Ideas for putting down the devices and doing something together. When the weather gets colder, there is nothing better than curling up by the fire and doing some winter crafts with your kids! Here are some fun ideas for kids of various ages! First, make holes in the paper plate by tracing two small circles. Use a craft knife to cut them out. Paint the fruit cups with white acrylic paint. 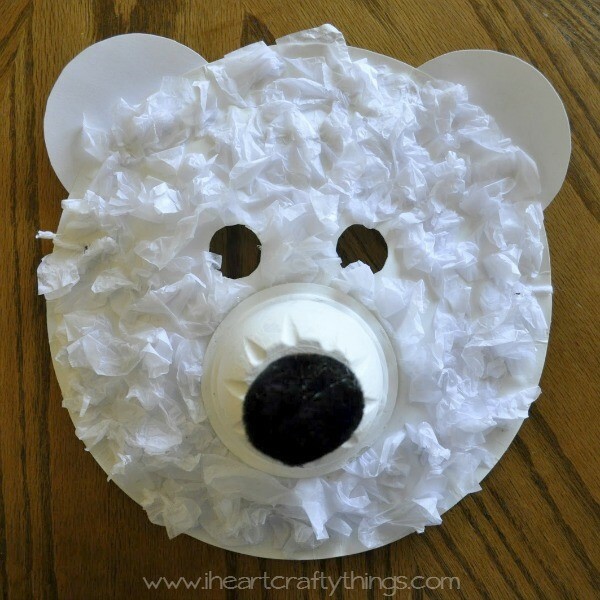 For the fur, put school glue onto a section of the paper plate and then place white crumpled tissue paper squares all over the glue. Do this on every section until the paper plate is covered. Glue the ears on to the back of the plate. Draw a bear mouth with permanent black marker after the snout has dried. 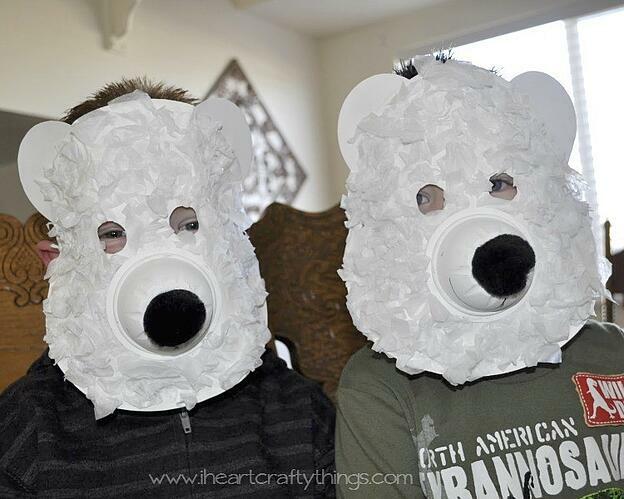 Using the glue gun, run glue around the bottom rim of the cup and paste it onto the polar bear face. Also use the hot glue gun to glue on the black pom-pom nose. Punch holes on the sides of the plate and thread yarn through for wearing! Cut a snowy hill out of your white cardstock paper and glue it onto your blue cardstock. Glue your two black cupcake liners onto the snowy hills. Punch four 1-inch hearts out of the orange cardstock paper and glue them under the cupcake liners as penguin feet. 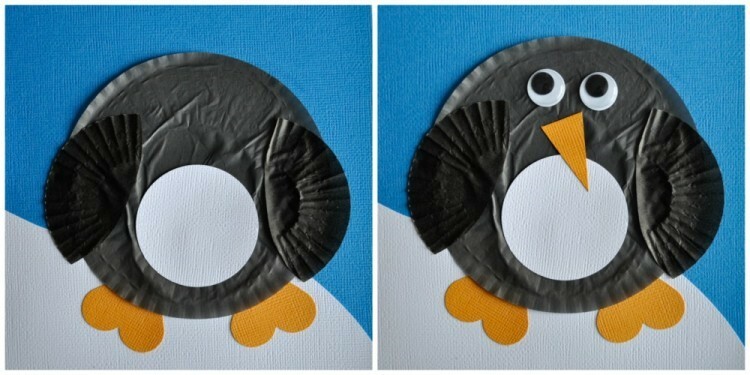 Fold your mini black cupcake liners in half and cut a curve along the folded edge and glue onto the penguin as wings. Using the circle punch, cut out two 2-inch circles from your white paper and glue them onto the belly of your penguins. Glue on googly eyes and a triangle beak cut out from the orange paper.